Dictators are the worst. That's why they're dictators, and not Nobel Prize winners, right? But if there's one thing tyrants know plenty about, it's living well. And while their gold sinks, Picassos, and Champagne fountains definitely came at someone else's expense (usually a lot of someones), they're still gold sinks, Picassos, and Champagne fountains. 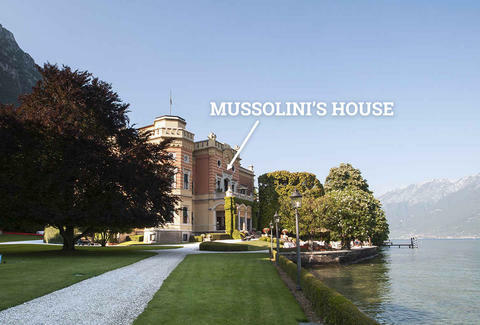 But what happens to a ruthless despot's fancy palace or exclusive retreat after he's been deposed? They're converted into hotels, of course. Well, at least these seven were. 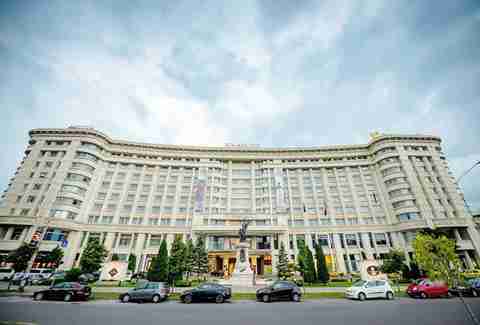 Although Ceauşescu was executed before he could stay in this guesthouse, Marriott swooped in 10 years after his death to turn the massive home into a 400-room hotel. It's built behind the 12-story Bucharest Parliament Palace (aka the People's Palace), which boasts 1,100 rooms, a 328-ft-long lobby, and four underground levels -- including an enormous nuclear bunker. 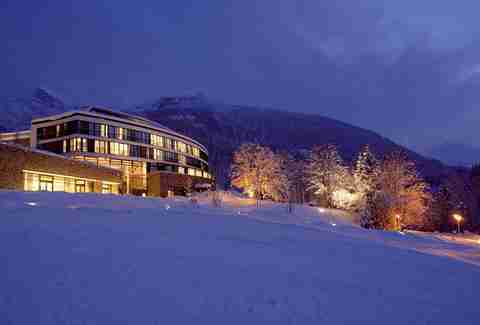 In an effort to reconnect the area with its 19th-century (pre-Nazi) tradition, the land that once housed Hitler's mountaintop retreat in the Bavarian Alps was converted into this 138-room luxury resort in 2005. It's located near Hitler's Eagle's Nest, which guests can see atop a nearby mountain. Stalin was such a sucker for Sochi's subtropical climate (remember this year's "Winter" Olympics? 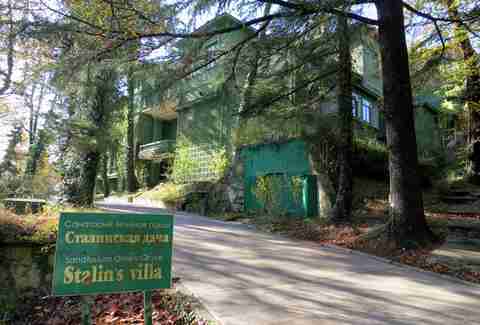 ), lush forests, and ocean views that he attempted to turn the city into a high-end resort village. Not only are his original furnishings and personal items, like chess set and billiards table, part of the attached museum, but the on-site restaurant also serves his favorite local dishes. If there's one thing dictators seem to have in common, it's a fondness for lakes. 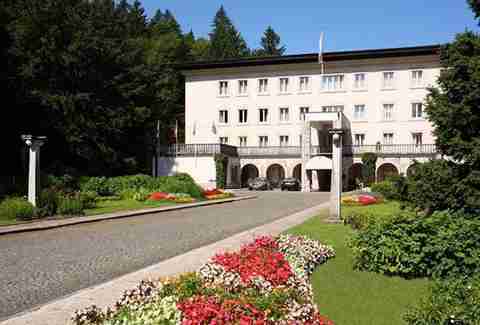 Known as a "benevolent" dictator, Tito started spending time at this summer residence on Lake Bled in the 1950s; it became a hotel and luxury spa in the 1980s. When King Zog was exiled from Albania after Mussolini invaded in 1939, Zog took to the house of St. Katharine's (then known as Parmoor House) with his Hungarian wife Queen Geraldine. In 1946, it was turned into a religious retreat open to people of all faiths. 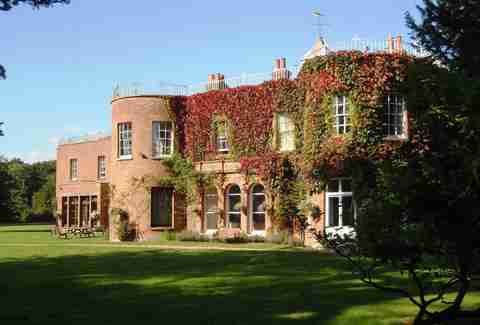 Built on scenic 12-acre grounds abundant with wildlife, the house -- which was once owned by the Knights Templar -- can hold up to 24 people. 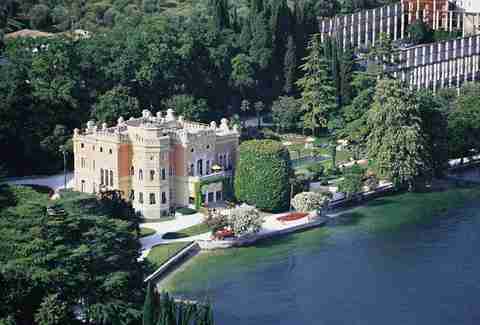 Eight acres of elegant lakeside Italian paradise, no wonder Mussolini took this home by military force from the Feltrinelli family in 1943. It was returned to the family after WWII and became a luxury hotel (complete with old-fashioned gelateria) in the 1990s. 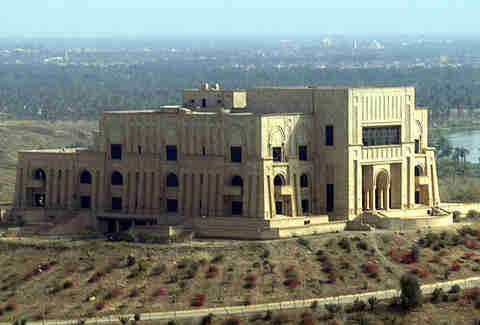 Sure, now might not be the best time for a family holiday to Iraq, but if you were to go, you'd at least be able to say you slept in the palace of a VERY recent dictator. Also, you could join the throngs of tourists who visit the palace daily to see Saddam’s date tree; surrounded by a concrete wall, its fruit was off limits to everyone but him.